My name is Dan. My friends call my Dannyboy. I love to travel. I grew up in a quiet suburb of Los Angeles, California, with my parents and two brothers. We were an active family. My parents both had successful careers, hobbies, and social lives -- and encouraged my brothers and me to follow suit. That led us through Boy Scouts, Indian Guides, AYSO soccer, music lessons, family game nights, computer games/programming, neighborhood shenanigans, and much more. My parents frequently planned weekend outings, road trips, and family vacations - which is the inspiration for my own love of travel. I graduated from Occidental College with a BA in Economics, and lived in Newport Beach in my 20s. To this day, I cannot think of a better place to spend my 20s. I lived one block from the beach, with two great roommates, and enjoyed a circle of close friends. I bicycled, rollerbladed, and/or boogie-boarded every day either before or after work. My roommates called me "Low Drag" because I was constantly on the go. I earned my Masters of Business Administration at the Tuck School of Business at Dartmouth College in New Hampshire, during which time I also completed a 4-month internship in Warsaw, Poland, working for a startup mobile phone company. After business school (and Poland) and a brief stint back in Los Angeles, I moved to San Francisco in 2000 to work in financial planning and analysis for a video game software company, Electronic Arts. I bought a house in a small community near the office, and for the next decade my life was pretty routine. I worked hard, played hard, and traveled frequently on international trips with close friends. As the years wore on, I watched many of those friends find different travel partners (i.e., wives, husbands, and kids). My trips soon became solo adventures. In 2013, I left EA and joined OpenTable to lead their financial planning group. In 2014, OpenTable was acquired by The Priceline Group, and I found myself working at a large company again. I grew tired of commuting nearly 3 hours a day, and further questioned the direction my life was going. So on April 15, 2015, I resigned from OpenTable, deciding to take an undetermined amount of time to travel, to sail, and to reinvent myself. Sailing has become a big part of my life over the last 3 years. In 2013, a friend of mine bought a 36' sailboat, and I joined his crew for weekly races and weekend practice. I got hooked immediately. 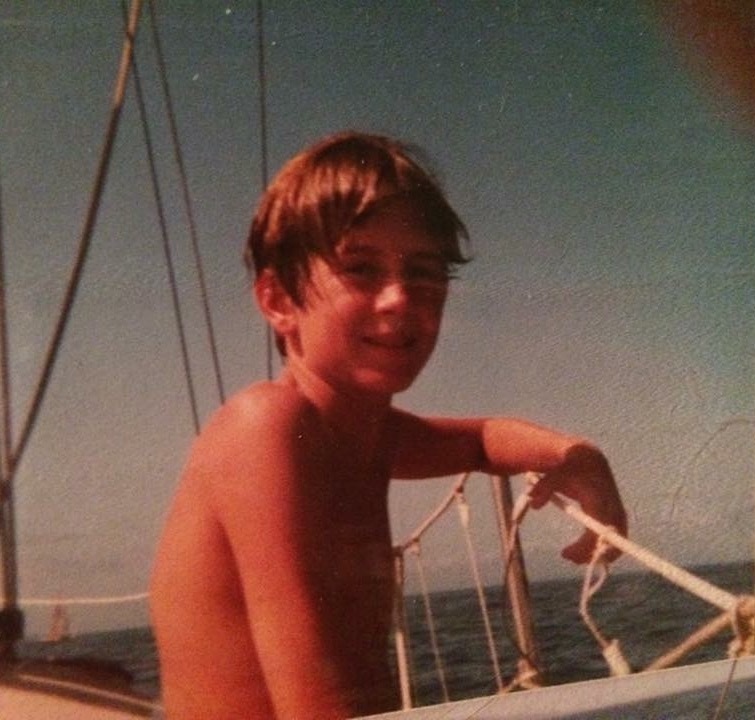 (I had done some sailing as a kid on my grandfather's Lido 14.) I joined the sailing club OCSC in Berkeley, California, and sped through the rigorous coursework and sailing classes. As of now, I'm certified with U.S.Sailing for Bareboat Charters and Coastal Skipper. I have over 80 charters under my belt as day skipper on the San Francisco Bay, on boats anywhere from 24' to 40' in length. In 2017, I certified with U.S. Sailing as a Keelboat Instructor. I now work part-time at OCSC teaching people how to sail! My ultimate goal is to combine sailing with my love of travel, and do international charters, coastal cruising, and perhaps a circumnavigation one day if I can find the right boat and crew. I also have some aspiration to do volunteer work and/or teaching of some sort. I taught high school math when I first graduated college, and really enjoyed it. My current part-time job as Sailing Instructor helps fulfill this goal. Since the launch of this website and lifestyle, I have also lived and volunteered in Chile for over 6 months, and Thailand for over 3 months. I'm thrilled to be pursuing my passions - traveling, sailing, and volunteering. I appreciate how lucky I am to be able to do this. I don't have a master plan; I have no idea what the future will bring. But that's part of the fun!